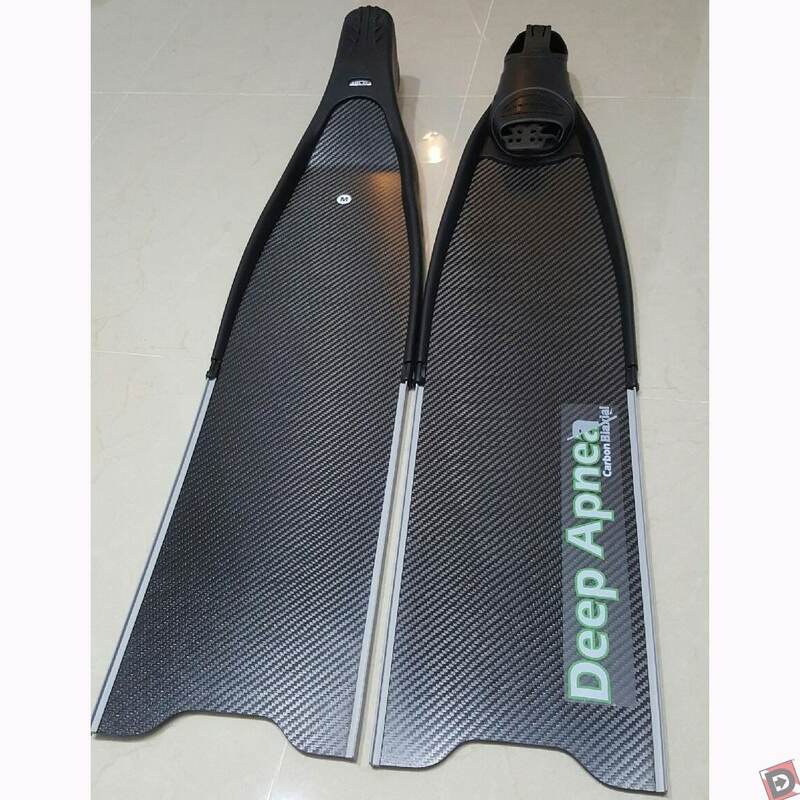 All Deep Apnea blades are manufactured with 100% Aerospace grade Carbon Fiber. The Multilayer disposition of the Carbon inside of the core creates a “Variable Parabolic Stiffness” (VPS), resulting in a faster blade response. This delivers a comfortable surface swim and also a strong ascend, with considerable less effort, which in turn saves oxygen during each dive. The main advantage for the Spearfisherman is less vibration while hunting, just small kicks will move you near the fish. The increase of the bottom time will be noticeable and the return to the surface will be quick, all due to the High Quality Carbon Fiber we are using in our blades and the VPS.